Most of these specials are zero points (free) to PRX member stations. Available for FREE to all stations, even if you don't take Sound Opinions weekly! Music fans and critics love making lists: Top 5 Driving Songs, Top 5 Bass Lines, and so on. But this is the list that really counts: The Best Albums of the Year. What did 2013 sound like? What are the albums you need to know about? And what records can you safely put under the tree? 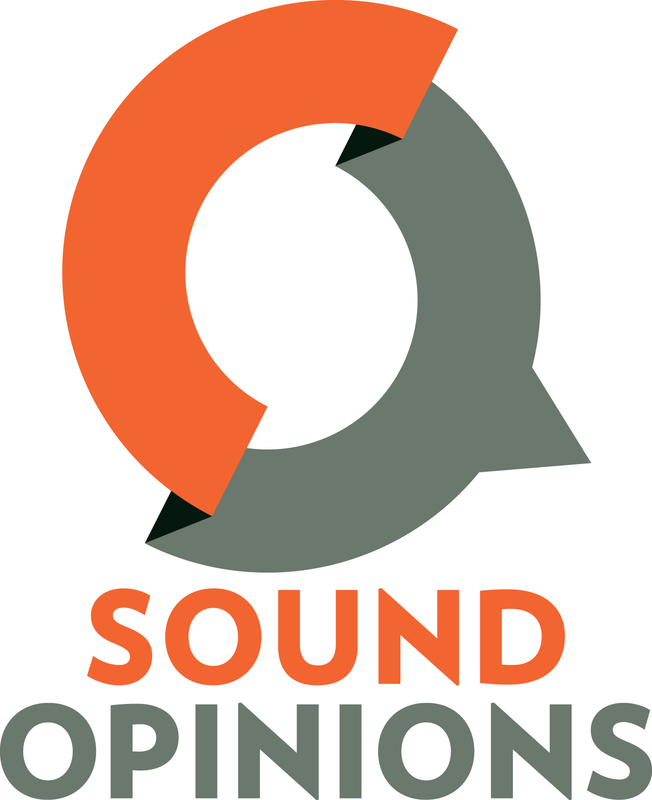 Jim DeRogatis and Greg Kot give you the answers during this special free hour of Sound Opinions. Hosts Jim DeRogatis and Greg Kot present the best albums of 2013. They talk about favorite releases by Savages, Chance the Rapper, Upset and more. Listeners from Willowbrook, IL, Minneapolis, MN and Denver, CO call in to share their number one albums. At the end of the show we hear comments from listeners. 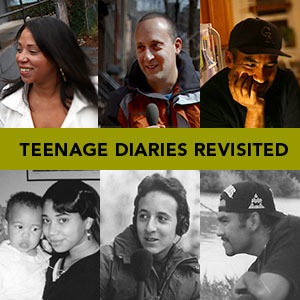 Hour-long special of Teenage Diaries Revisited. Back in the 1990s, Radio Diaries producer Joe Richman gave tape recorders to a handful of teens and asked them to report on their own lives. Now, almost 20 years later, Joe has checked back in with them. A lot of life happens in two decades. Back in the 1990s, Radio Diaries producer Joe Richman gave tape recorders to a handful of teens and asked them to report on their own lives. Now, almost 20 years later, Joe has checked back in... With Josh, still struggling with Tourette syndrome as an adult; Melissa, who was a teen mom and is now the mom of a teenager; and Juan, a Mexican immigrant who is now a father and husband...and still undocumented. Each year The Third Coast International Audio Festival brings the best new documentaries produced worldwide to the national airwaves in a special two-hour program hosted by award-winning writer, producer and humorist, Gwen Macsai. We have also included two promos with 5 second tails. The Third Coast International Audio Festival brings the best new documentaries produced worldwide to the national airwaves in a special two-hour program, Best of the Best: The 2013 Third Coast Festival Broadcast. The featured documentaries, all winners of the 13th annual TC / Richard H. Driehaus Foundation Competition, demonstrate just how powerful radio can be. Innovative and insightful, the stories will engage, provoke, entertain, and transport listeners, proving that all you need to discover new worlds is...a little box and an antenna. In addition to these memorable stories, Best of the Best includes interviews with winning producers Kenny Malone, Alicia Zuckerman, Tim Howard, Linda Lutton and Alex Kotlowitz who give us a glimpse into the art of audio storytelling. Best of the Best may be presented in a number of ways, as a two hour program, or as two one-hour programs. Stations may also air just one hour. In this FREE one-hour program, Sound Opinions hosts Jim DeRogatis and Greg Kot are joined by avid music collector Andy Cirzan for the annual Holiday Spectacular featuring seasonal tunes you won't hear anywhere else. FREE TO ALL STATIONS, even those without current PRX memberships. This is a Christmas special like none other. Holiday music collector and expert Andy Cirzan scours record stores, dustbins and basements to find the best and most unique tunes for the season. And each year he treats Sound Opinions listeners to a much-anticipated hour of music and a free mix to download. This year is Rock 'n' Pop Xmas--surprising holiday selections from some of the best bands in music history--XTC, The Band, The Kinks, The Beatles and more. *As a special bonus, listeners are invited to download Andy Cirzan's complete holiday compilation for FREE at christmas.soundopinions.org. 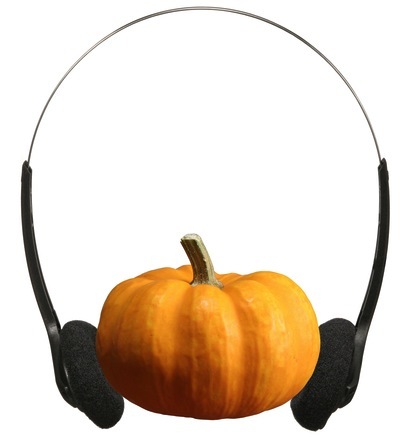 The mix will only be up until the end of 2013, so get it while the yule log is hot! Approximately 30 million adults in the U.S. are at the low end of the literacy spectrum. They struggle to read a menu, a pay stub or a bus schedule. About 46 million find it challenging to do the most basic math. And for millions of adults, there’s the added challenge of not being able to speak English. Ana Perez, Shirley Ashley, and Ernest Robertson, like thousands of other adult learners, are slowly and painstakingly trying to fill in the gaps of their rudimentary schooling. It has been more than 40 years since they dropped out of school but the long shadow of their unfinished education still follows them every day. The most common reason adults go back to school is to get a better job. In typical adult education programs this can take years; students usually have to finish basic courses, then take the GED test, followed by pre-college classes before they can get into college. If students need to learn English, it can take even longer. Also, major changes coming to the test in 2014 make it more difficult, more expensive and will require adult students to have computer skills. The most common reason adults go back to school is to get a better job. In typical adult education programs this can take years; students usually have to finish basic courses, then take the GED test, followed by pre-college classes before they can get into college. If students need to learn English, it can take even longer. But a program used throughout Washington state, shortens that time by taking students, often high school drop outs, and placing them in college level courses. Adults who go back to school often struggle to earn a diploma and hold a steady job. When they can’t read, write or speak English well, it affects whole communities in a variety of ways- the economy suffers and communities have to spend more on social services- including unemployment checks, food stamps and subsidized housing. Adults who dropped out of high school are disproportionately represented in the criminal justice system. They are less likely to vote and to volunteer and there is also a burden on the health care and the k-12 school systems. But perhaps the biggest cost is the one that can’t be measured. It’s the invisible cost of what-might-have-been, not being able to fulfill your personal potential. Hour long news program examines the democratic process and how technology has played a role. IEEE Spectrum's hour long news program exams the democratic process and how technology has played a role. "Long Game" is a new radio documentary about ongoing culture war battles over education in the Lone Star State. For “Long Game,” Trey Kay (producer of the Peabody, Murrow and DuPont honored “Great Textbook War”) spent nearly two years gathering interviews and acquiring archival audio in Texas. During this process, he was present to capture a new controversy that erupted over a Texas-generated curriculum system known as CSCOPE. Tea Party parents were outraged when they discovered there were CSCOPE lessons that equated Boston Tea Party participants to terrorists and encouraged students to design a flag for a new communist country. These parents were also troubled by lessons that taught the fundamental principals of Islam. When they asked to see more of their children’s lessons, they were told that CSCOPE material was protected by a non-disclosure agreement and that parents couldn’t have access. The controversy reached critical mass after conservative talk show host Glenn Beck began speaking to his national audience about CSCOPE as a form of leftist indoctrination that was running rampant in Texas and could potentially appear in public schools in other states. After about six months of intense media and political pressure, the lesson plan wing of CSCOPE –used in over 70% of Texas schools – was disbanded. Kay’s report also examines Texas’ perennial battle over science standards and in particular, how the state chooses to teach all things related to the origins of the universe and theory of evolution. This fall (2013), the Texas Board of Education is selecting biology textbooks for use by high school students over the next decade. The panel responsible for reviewing submissions from publishers has stirred controversy because a number of its members do not accept evolution and climate change as scientific truth. Compelling journalism and artful storytelling, Trey Kay reports on the deep social divide that affects how students are being taught in classrooms across America. Deeply researched and clearly reported, Long Game examines the characters, issues and social divide over textbooks and curriculum in public schools in Texas. The war over textbooks has become a red-hot battle over testing and curricula in which ideology too often trumps education. No documentary in memory better explains how we got here and what it means. Every parent should listen to this documentary as if their child’s education depended on it – because it does. Trey Kay has done it once again: The Long Game is scrupulously reported and beautifully produced, a rigorous, fair-minded and illuminating exploration of one of America's fundamental challenges, the ascendant and hysterical conviction that, pace Daniel Moynihan, everyone is entitled to his own facts as well as his own opinion. A compelling and important hour of radio. Nobody knows more about the long, fraught history of the Culture Wars in our schools than Trey Kay. The Long Game is proof that in 2013, more than 50 years after the Gablers began picking apart textbooks at their kitchen table, what happens in Texas still matters to public education. A fascinating listen! Trey Kay has produced our best single account of curriculum controversies in Texas, a longtime battleground for the culture wars in American education. As Kay shows, the current imbroglio over "CSCOPE" has deep roots in Lone Star political and religious history. But it also reflects more recent trends, especially the nationwide movement for standards and accountability. Given their profound cultural and ideological differences, can Americans ever embrace a shared "standard" of education? Listen to Trey Kay, and make up your own mind. Trey Kay provides a deep, richly reported look at longtime culture wars over what can be taught in Texas classrooms. He takes listeners inside Sunday schools, classrooms and the minds of those who believe the teaching of evolution theory and state curriculum materials confuse and mislead students and promote anti-American battles. Kay goes well behind the superficial headlines about battles over curriculum delivery and textbooks in the Longhorn State, getting his pulse on why ideology continues to dominate education debates. One hour special, taking listeners to the Mexico they don't know, untold stories rich in sound, place and humanity, with host Daniel Hernandez. The New Yorker says Daniel finds the unexpected, original and mysterious. Now that's Mexico Uncovered! The U.S. and Mexico share deep personal, economic, geographic and cultural connections, but our understanding of Mexico is often limited by stereotype and media exaggeration. Mexico Uncovered is out to change that. This one hour special is reported by some of the most talented young journalists working in public radio today, Annie Murphy, Mo?nica Ortiz Uribe, and Marlon Bishop all of them bilingual and regular contributors to Marketplace, Morning Edition, The World, and Studio 360. Mexico Uncovered is produced by award-winning public radio veterans Beverley Abel, Leda Hartman and Mary Stucky. In a groundbreaking collaboration with Mexican reporters and top-tier media outlets in Mexico, these untold stories were also published in Spanish in Mexico. Mexico Uncovere d is "evergreen" and can be pegged to key dates . Day of the Dead (November 1 and 2), Christmas and Easter (when millions of Mexicans travel “home”), March spring break when Americans flock to Mexico’s beach resorts, and Cinco de Mayo. The immigration debate is expected to heat up this year, creating a strong news peg. Support for Mexico Uncovered comes from the John D. and Catherine T. MacArthur Foundation . LISTEN NOW, DON'T AIR TIL 12/3/13. A powerful documentary about how treating the whole person fits into the new health care era. In this sound-rich program, doctors, nurses, patients and health advocates describe this emerging medical movement. The clash over who gets health care coverage and who pays — which resulted in the 2013 government shutdown — is just part of the story. According to the CDC, more than three-fourths of U.S. medical costs are attributed to largely-preventable illnesses related to our lifestyle behaviors (what we eat, whether we exercise, how we manage stress, if we smoke). Yet visits to the doctor are often too brief to get a handle on these complicated problems. An NPR/Robert Wood Johnson/Harvard poll shows about 3 in 5 patients are unhappy with the rushed pace. Frequently they come away with prescriptions to treat symptoms, rather than a solution to underlying causes. And it's increasingly hard for time-stressed physicians and nurses. To get to the root of this, The Search for Well-Being examines the emergence of "integrative medicine," for which clinics are now widespread at major hospitals throughout the United States, including parts of the Veterans Administration, which operates the nation’s largest health care system. The aim is to provide effective, low-tech care for the whole person: mind/body/spirit. Many integrative clinics offer acupuncture, teach meditation skills for stress reduction and provide health counseling. Some of these services are newly covered by the Affordable Care Act and Medicare. To explore this fascinating trend, we've talked in depth with health care providers, patients and others around the country. The sound-rich stories are powerful. Hour 1 explains this approach to health care and how it is transforming the relationship between patients and their doctors and nurses. Hour 2 looks at new developments in medical and nursing education to prepare a new wave of professionals for integrative practice.